Always a pleasure to write about the lives and work practices of artists that I respect so highly - John Bokor and Paul Higgs. It's been such a treat to celebrate the 50th issue of South Coast Style by photographing and writing about people and projects close to our hearts. Lucy Culliton, a far-south coast resident who manages a burgeoning art career in Sydney shares her work and vast menagerie with us and a recent building project in the escarpment above Berry shows off the skill and vision of architect Peter Stutchbury. It's always a pleasure to be asked to write an article about an artist that you respect greatly and whose work you enjoy. Tim Allen is one of those artists and this is a part of that article. 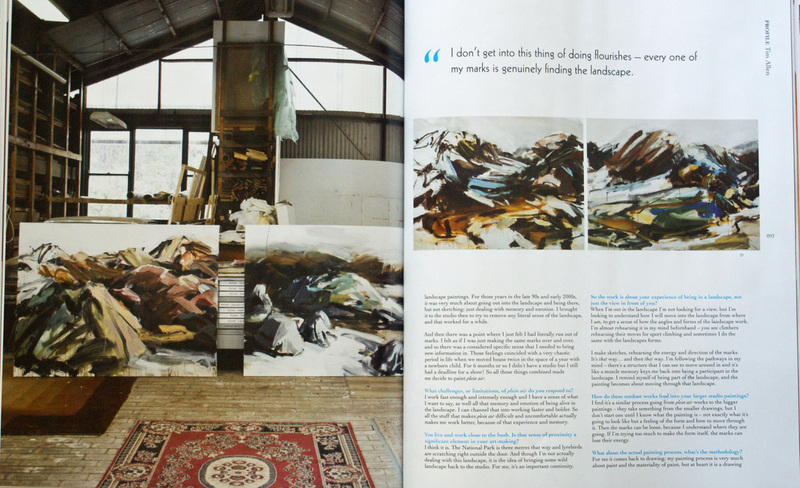 For the full story get a back copy of Artist Profile Magazine, Issue 26. It's been a privilege to share some important stories from the Australian art world with the readers of South Coast Style magazine - this one focuses on the Wedderburn artists and the generous gift by a south coast couple that started this important art community (co-authored with partner, Richard Morecroft). From art to action - South Coast Style's diversity allows coverage of all things on the NSW south coast, which lets me share my enthusiasm for the women who take up the sport of kiteboarding. 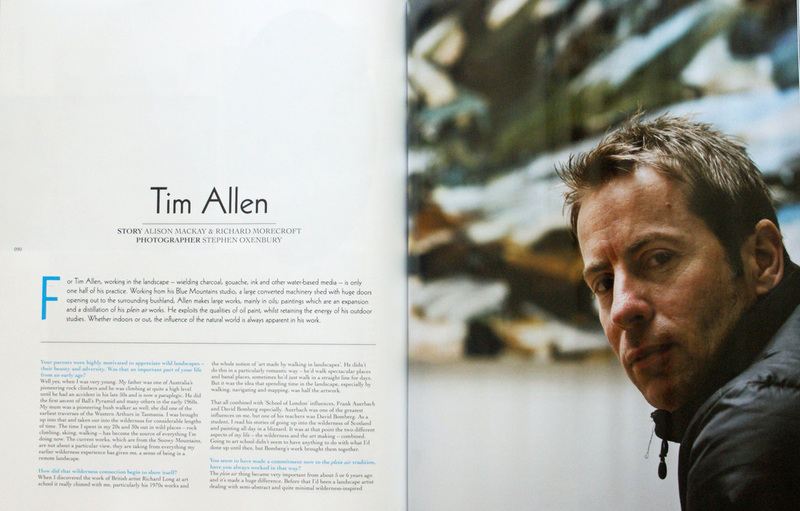 Artist Profile magazine is a great read and a fantastic way to keep up with what's happening in the Australian art world from a practitioner's point of view. My partner, Richard Morecroft and I had the pleasure of interviewing, photographing and writing about the wonderful Melbourne-based artist, Kevin Lincoln. Having a deadline for an article on the outdoors has meant added incentive to get out into wild places. Today. It's a treat to visit and share these special places with the readership of South Coast Style magazine.